(1) The bill would cut federal spending, financed by taxpayers, by $1.2 trillion. (2) The bill would slash Obamacare-created taxes by $883 billion. (3) The bill would reduce deficits by $337 billion. (4) After a temporary bump in premiums, the bill would reduce monthly coverage rates by ten percent. Step one...needs to be done exclusively through reconciliation. There are 52 votes for that in the Senate at best. But … what if Republicans get it through? Will Manchin continue his rejectionist stance once ObamaCare has in fact been successfully replaced? The GOP will sell step three to the public as the linchpin of their strategy for lowering premiums: The more options you have in choosing a plan, the more likely it is you’ll find one at a price you’re comfortable with. What incentive does Manchin or McCaskill or Jon Tester or Heidi Heitkamp, etc, have to oppose a bill like that once the initial battle over O-Care has been lost? The Republican gamble here is that red-state Democrats secretly do want to work with them to make health insurance better, if only to protect themselves in their 2018 elections. 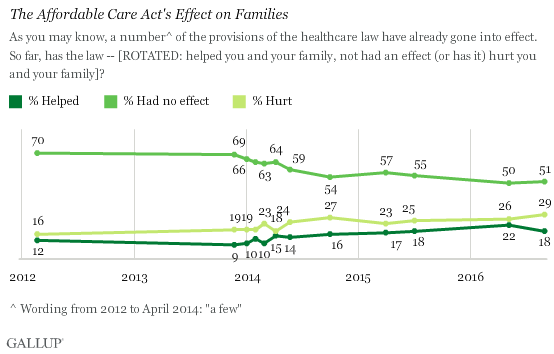 The politics make that impossible so long as ObamaCare is on the chopping block, but once it’s been chopped and the GOP moves on to secondary reforms of the market, there’ll be less pressure on them to toe the party line. And if that’s true, then Cotton is wrong. Of the 14 million accounted for in the 2018 figure, 6 million would drop out of the individual market, 5 million from Medicaid, and 2 million from employer-based coverage. Remember that Medicaid is basically free to the eligible enrollee. There are no premiums, and almost no co-pays or deductibles. The value of the Obamacare Medicaid subsidy is about $6,000 per enrollee per year. And yet, CBO believes that 5 million people will only enroll in Medicaid because the individual mandate forces them to. Given the difficulties in enforcing the mandate for low-income populations, this is highly unlikely...Furthermore, CBO’s view that 6 million people in 2018 will be driven to enroll by the mandate means that of the 26 million 2018 enrollees in the individual market, nearly a quarter will be signing up primarily because of the mandate. That contradicts the real-world experience of insurers and actuaries, who say that the real proportion is closer to 5 percent. A key part of the CBO’s March 2016 baseline is an assumption that most of the states that have yet to expand Medicaid under Obamacare will soon do so. 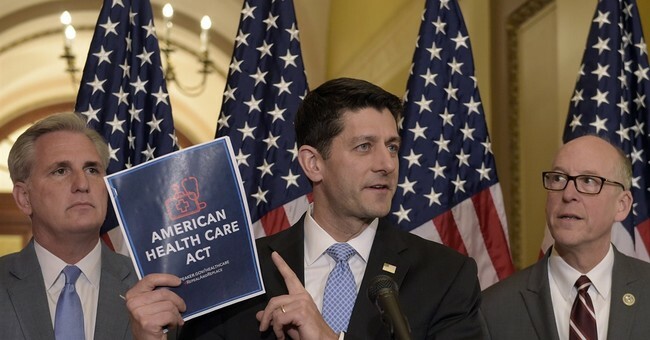 Hence, the House GOP plan will reduce coverage by 5 million people in the future, from states that have yet to expand Medicaid...[But] the states that haven’t expanded Medicaid have done so because they are concerned about exposing their taxpayers to significant and growing liabilities that the federal government may back away from over time. Those liabilities aren’t getting smaller as time goes forward, but larger. The AHCA penalty imposed on persons who experience a break in their insurance enrollment of more than two months in the prior year would be a 30 percent premium surcharge payable for 12 months. For a plan costing $6,000 a year, that amounts to a surcharge of $150 a month. Healthy consumers are likely to take their chances, saving that $6,000 in the hope that they would not incur significant medical expenses during the year. With the repeal of the individual mandate, and the retention of the ACA’s insurance rules, the overall effect would be significant market turbulence, starting immediately in 2017. To avoid a complete collapse of the market, the AHCA should provide a strong and clear penalty for persons who exit the market, covering multiple years. One approach would be to extend the current surcharge over several years. Another possibility would be to impose a waiting period before benefits would be paid. So, what now? President Trump is reportedly courting conservative votes by entertaining changes to the bill that would please the party's right flank. (While we're on that subject, you should read Philip Klein's piece making the case that the CBO score means that the GOP has little to lose by scrapping much of their current proposal and embracing more aggressively free-market reforms). But making the bill less generous and more fiscally conservative risks alienating moderates in the party who are already jittery about the CBO's verdict on coverage rates. Those members' votes will also be critical to passing a compromise bill, particularly in the Senate. Perhaps House Republicans should make a few needed tweaks to the bill in both directions (say, freezing new Medicaid expansion enrollments a year earlier and adding work requirements to satisfy conservatives, while offering more help to lower-income consumers and delaying the individual mandate repeal by an extra year to reassure centrists), then pass and send that compromise over to the Senate -- which will have ample opportunity to amend it further.